MOST PEOPLE WANT Garda Commissioner Nóirín O’Sullivan to resign or step down while the Charleton Tribunal investigates an alleged smear campaign against whistleblower Sergeant Maurice McCabe. According to the latest Irish Times/Ipsos MRBI opinion poll, seven in 10 people (71%) want O’Sullivan to step aside – 34% of people surveyed said O’Sullivan should “resign now”, while 37% said she should “step aside until the tribunal concludes”. Some 17% of voters think the commissioner should stay in her role, while 13% are unsure. Unfortunately some of those inaccuracies we cannot correct at the moment and there needs to be an understanding of that from our own members. The opinion poll was conducted last Monday and Tuesday among a representative sample of 1,200 voters aged 18 or over. The margin of error is plus or minus 2.8%. Speaking at the opening of the Disclosures Tribunal last week, Justice Peter Charleton called on people with information pertinent to the probe into how whistleblowers have been treated by An Garda Síochána to provide written statements to the Tribunal solicitor Elizabeth Mullen. “The central concern is whether such reaction has, possibly, and this is now unknown, not only been one of distaste, but of active and thought-through malice whereby media briefings take place against individuals who rock the boat. The first module will look at the response of O’Sullivan, her predecessor Martin Callinan and others at the highest command level to disclosures made by McCabe and, in particular, the manner in which his character may possibly have been “undermined by calumny or detraction”. Submissions will be heard, Justice Charleton explained, on whether there is privilege against disclosing instructions given by a client to their lawyer as to what is to be pursued in cross-examination. This relates to the O’Higgins Commission into allegations of garda malpractice in Bailieboro, Co Cavan, during which McCabe claims the Commissioner directed her counsel to discredit him. 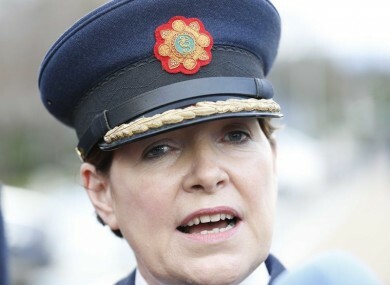 Email “Most people want Nóirín O’Sullivan to resign or step aside as Garda Commissioner”. Feedback on “Most people want Nóirín O’Sullivan to resign or step aside as Garda Commissioner”.